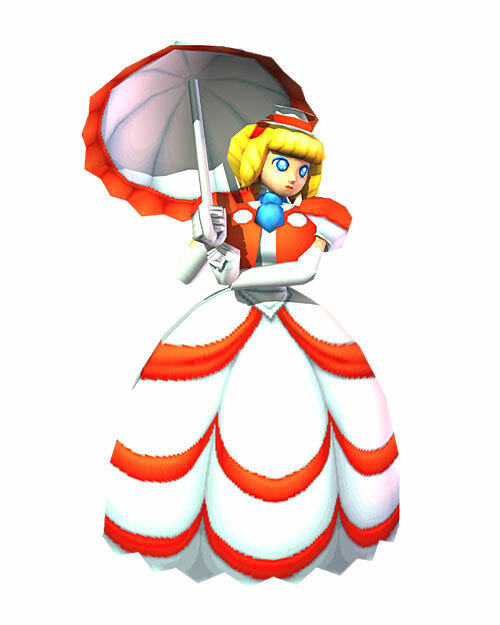 Julia is the only daughter of the historic Whitepearl family. Behind her tender graces hides a wild personality that even she is unaware of. Her parents hoped that the power of the Power Stone, passed down through the family from generation to generation, would keep this in check. But the wild side of Julia's spirit personality stole the stone and she ran away from home. When she snapped out of it, she found herself in a strange and foreign place. "I don't know what happened, but I must get out of here!" 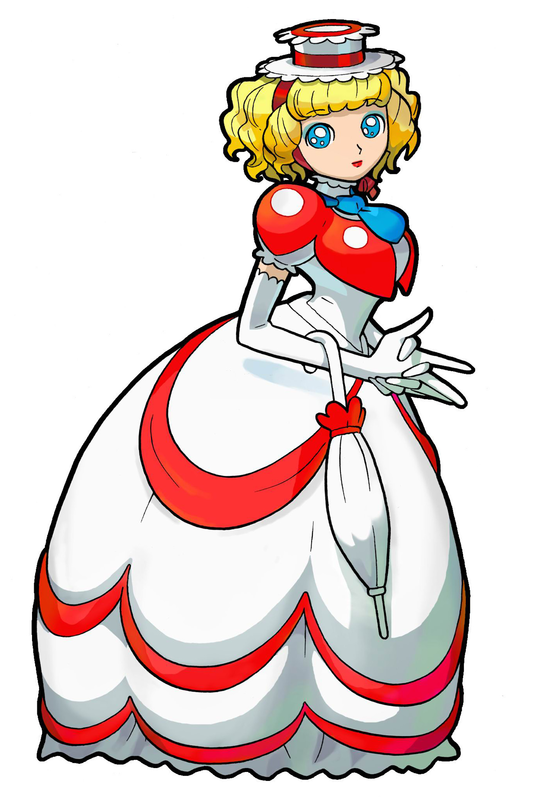 Oiy... What's Princess Toadstool doing in a Capcom fighting game? Or is she some kind of Mary Poppins wannabe? I thought this was supposed to be a "fighting game". 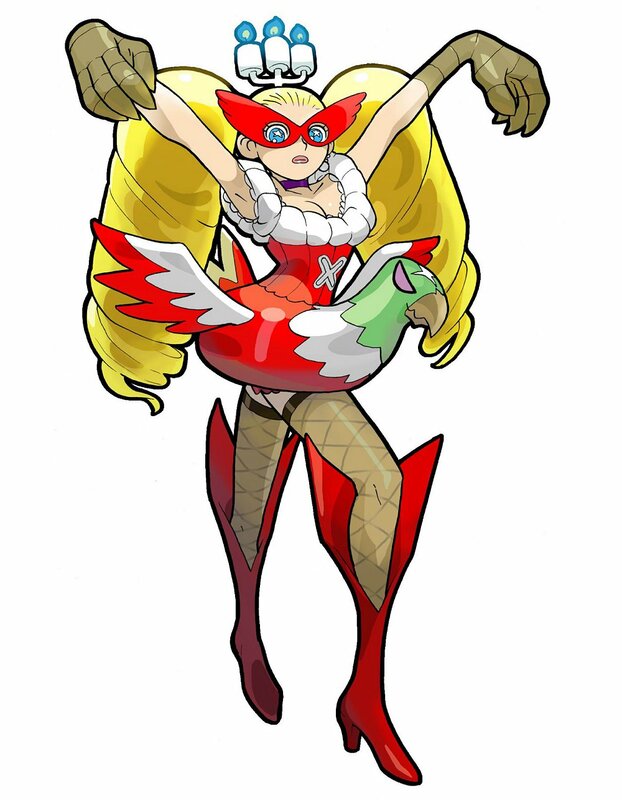 So what's the deal with her alternate "powered up" version... Candles on her head and a hawk floatation device? 0_o Yes, the dev-team was on drugs during the creation of Power Stone 2. That much is clear. Julia is a completely random design, and coming from the Power Stone series, it's not entirely surprising. Still, I'd say the very last thing she looks like... is a fighting game character.